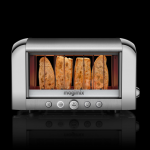 DesignApplause | Vision toaster. 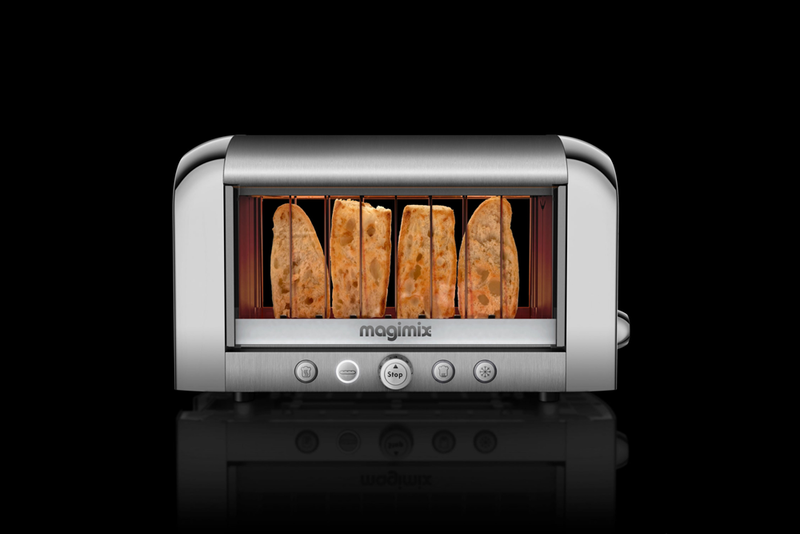 Magimix. 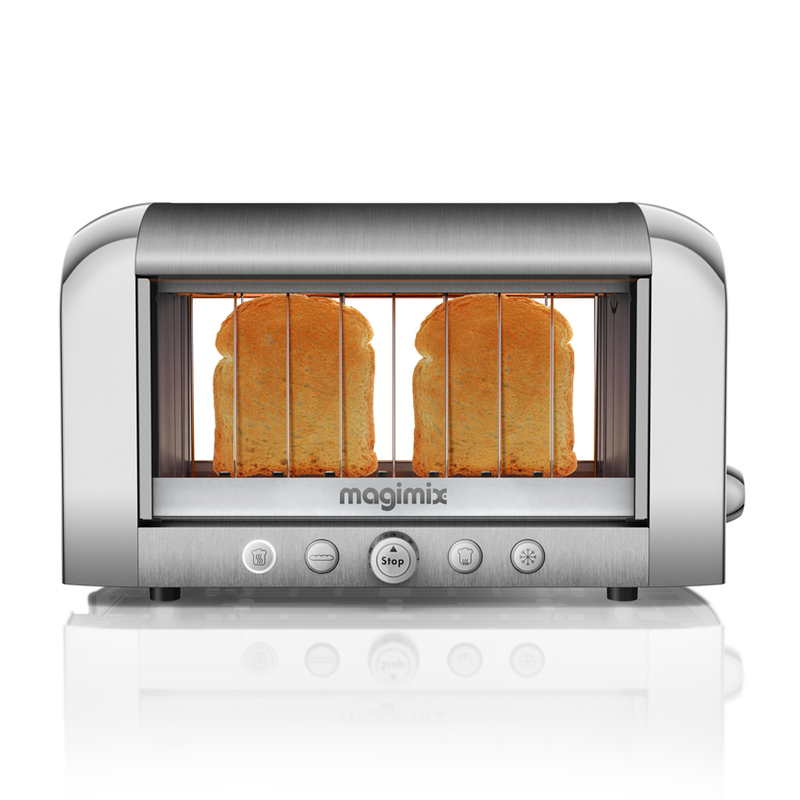 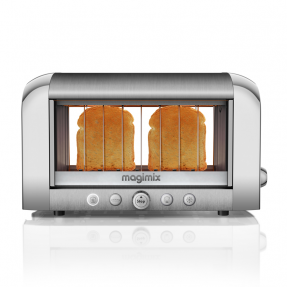 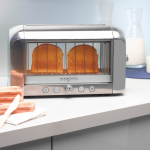 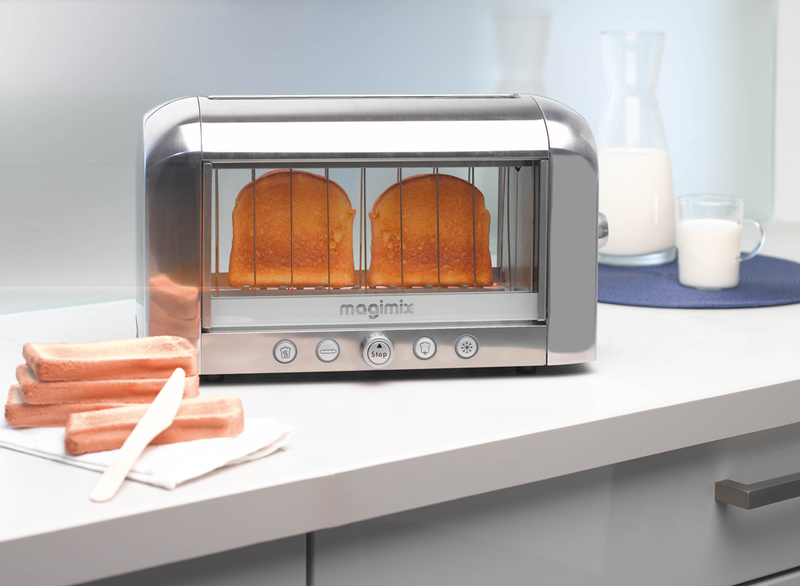 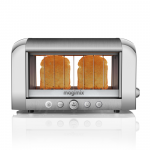 The result of 15 years of research and design, Magimix’s new Vision Toaster uses revolutionary long-lasting quartz heating elements to perfectly toast bread and let you get a peek at the action through a window. 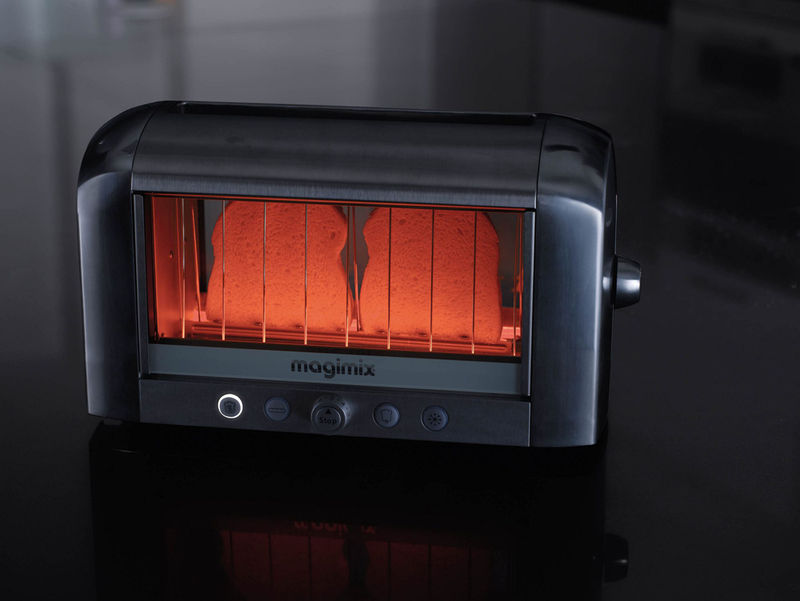 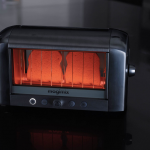 Tucked away in the corners of the French appliance brand’s toaster, the hidden quartz parts replace the traditional metal components not only getting them out of the way for a clear panorama of the toast, but also heating more evenly.